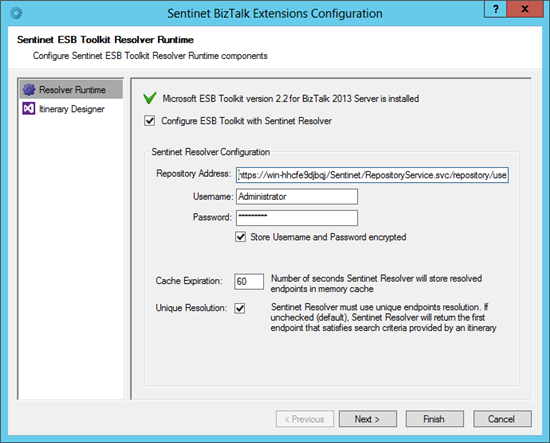 The ESB Toolkit is all about reusing components like Orchestrations and Pipeline components. 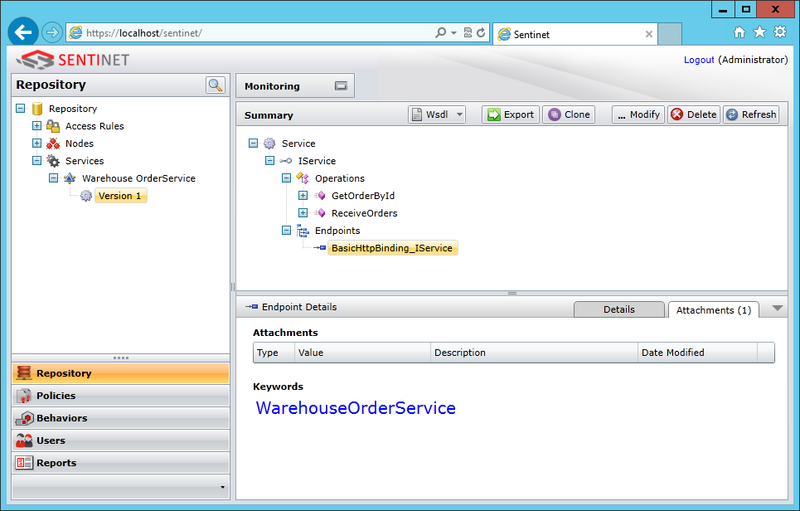 To be able to do that you have to use generic message types, but also set maps and endpoints dynamically at runtime. If you set the location of a web service for example, in an Orchestration you cannot reuse that orchestration anymore to call other web services. With the ESB Toolkit, you use Resolvers to dynamically set maps and endpoints and you get several Resolvers out of the box. The BizTalk ESB Toolkit includes the following resolvers: STATIC, UDDI, UDDI3, XPATH, BRE, BRI, ITINERARY, ITINERARY-STATIC and LDAP. 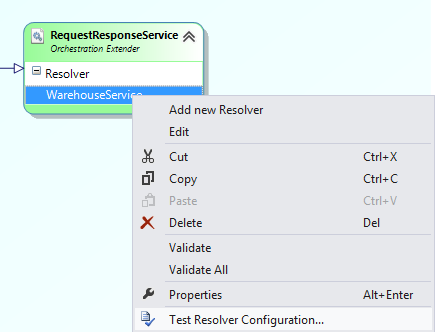 When you set an endpoint in an Itinerary with the STATIC Resolver you are able to reuse Orchestration Services and Messaging Services (pipeline components) to call other web services, but it’s also not ideal to store an endpoint in an itinerary because often you have other web services in your development environment than in test, acceptance and production. In that case you have to create different itineraries for all environments. In larger environments where you have a lot of services you want to have a repository to store and manage the web services. Microsoft created UDDI for that, but it’s not commonly used because it’s quite complex. 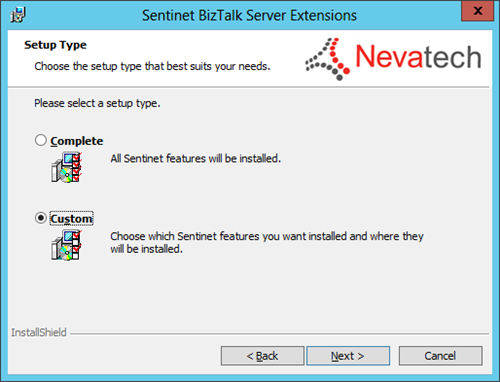 Microsoft partner, Nevatech offers Sentinet software product that provides SOA implementations with design-time governance and runtime management. 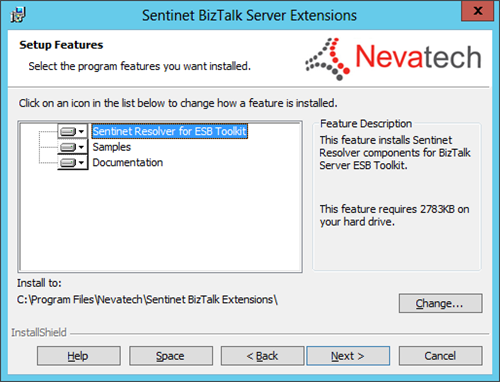 Combined with the free Sentinet BizTalk Server Extensions you can also use it in combination with the ESB Toolkit. 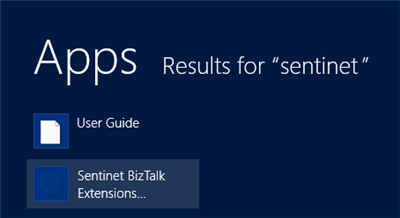 It’s a great solution because now you can use keywords to resolve an endpoint. The Sentinet BizTalk Server Extension depends on Sentinet so you have to install Sentinet first. 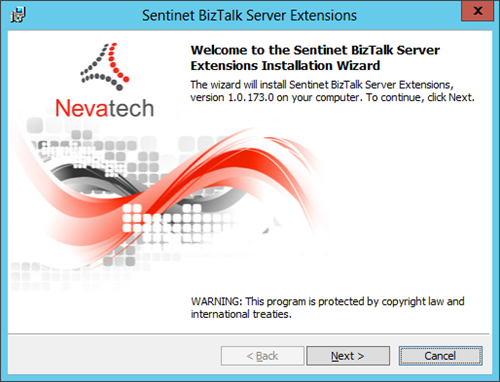 Sentinet BizTalk Server Extensions are installed from a MSI package that you can download from the Nevatech website. Select Complete or Custom features option from the Setup Type screen. In the Custom features screen you can select the installation of individual features. 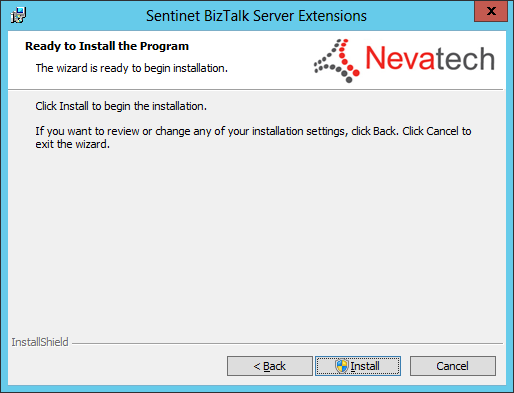 Click on the Install button to install the program. Click on the Finish button to complete the installation. Once the MSI is installed, you have to run Sentinet BizTalk Extensions Configuration Wizard application that helps to configure installation with secure connection to the Sentinet Server and its SOA Repository. 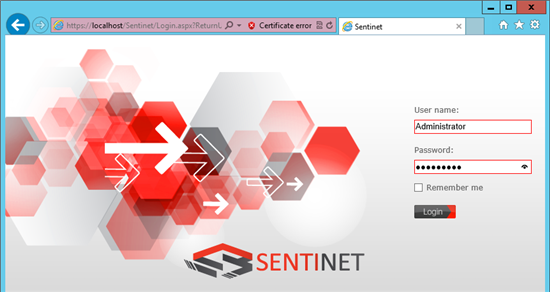 Select the Repository address and the Username and Password of the Sentinet user account. Click on the Next button for more options. The integration with Visual Studio Itinerary Designer is optional. If Visual Studio 2012 is not installed, or is not configured with the Itinerary Designer, Configuration wizard will disable checkmark field. Click on the Finish button to store the configuration. 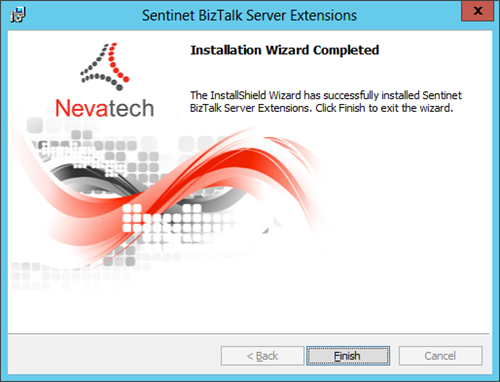 Click the Close button to close the configuration wizard application once configuration process is complete. The Sentinet Repository can be managed using the Administration Console. Use the browser to login. 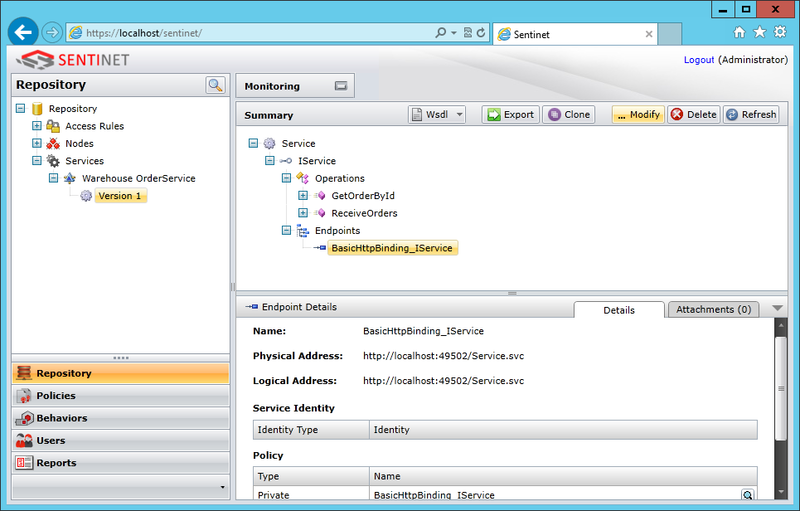 SOA services managed by the Sentinet infrastructure have to be registered in the SOA Repository as managed SOA assets. 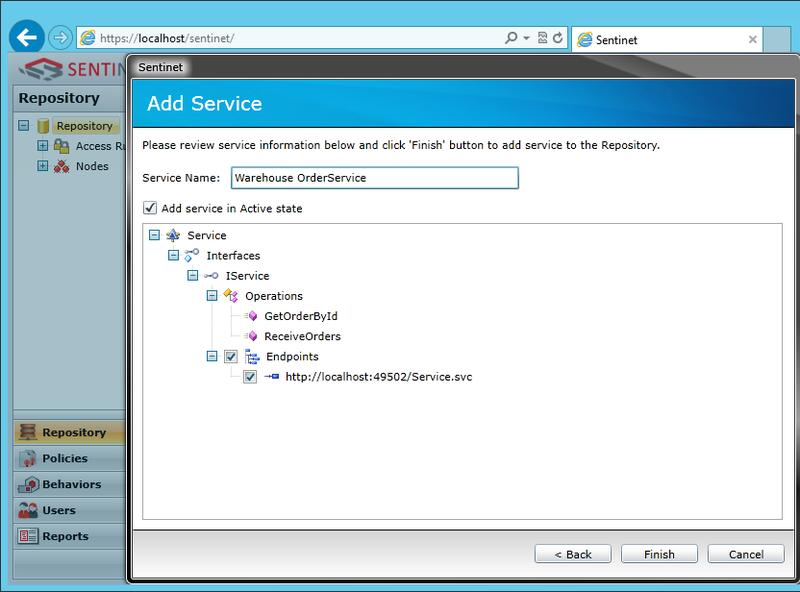 To register a Web Service in SOA Repository, right click on Repository and select Add / Service / SOAP to add a Web Service. A new SOAP service is added to the SOA Repository using the Add Service Wizard that imports service metadata, creates service elements in the Repository, and creates a service’s first version. 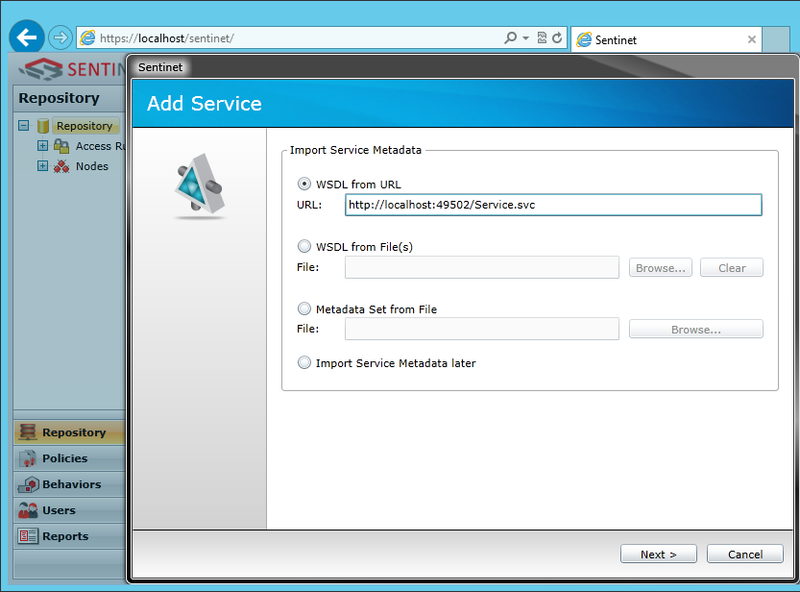 Enter the location of the web service WSDL and click on the Next button. 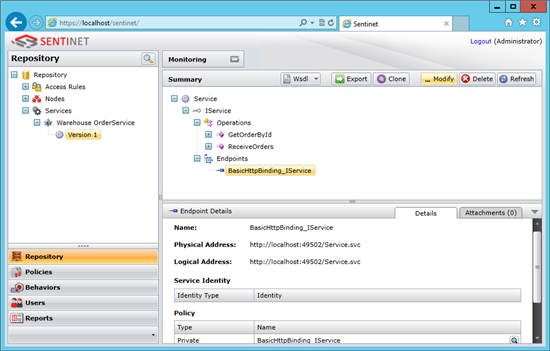 After service metadata is downloaded and parsed by the Repository Web Services Application, the service structure is presented for review on the next page of the Add Service Wizard. Give the Service a name and click on the Finish button. The first step is completed, and the service is registered. Now you can also create (design) a virtual service for your registered web service, however this is not mandatory. 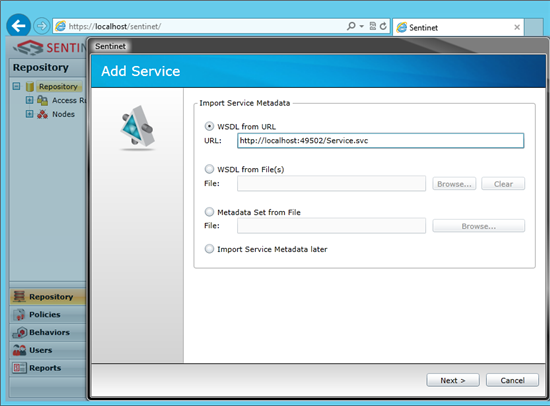 Click Add->Virtual Service->SOAP menu option to create a Virtual Service. Click on the Modify button to create a Keyword for the endpoint. Click on the Attachments tab and then click on the plus button to add a Keyword. Click on the Save button to store it. When the keyword is saved it is shown in the Attachments tab. Create a new itinerary, drop and Itinerary Service shape to the surface. Use a Messaging Extender or a custom Orchestration Extender and add new Resolver. 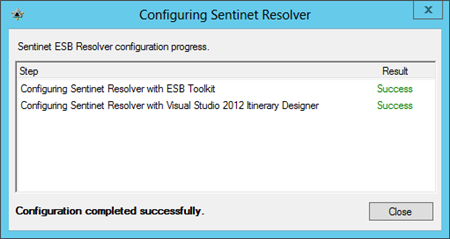 The Resolver Implementation property can now be configured with the Sentinet Resolver Extension. 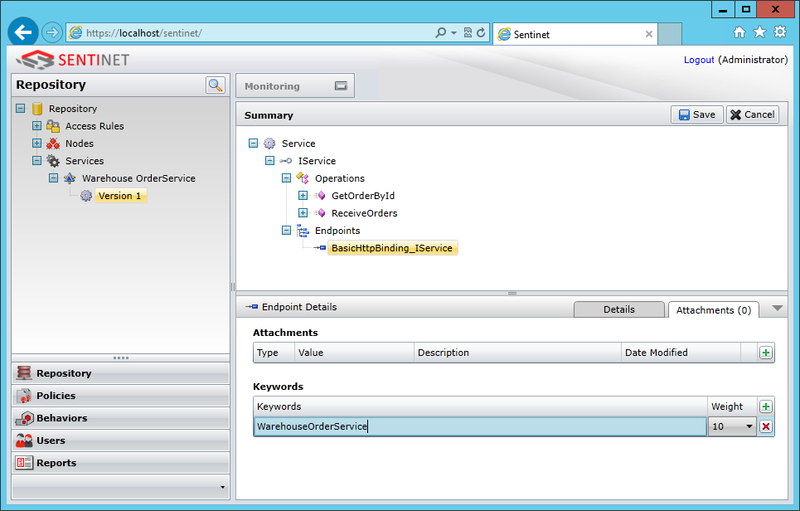 In the Properties window you can set the keyword but you can also set the map. 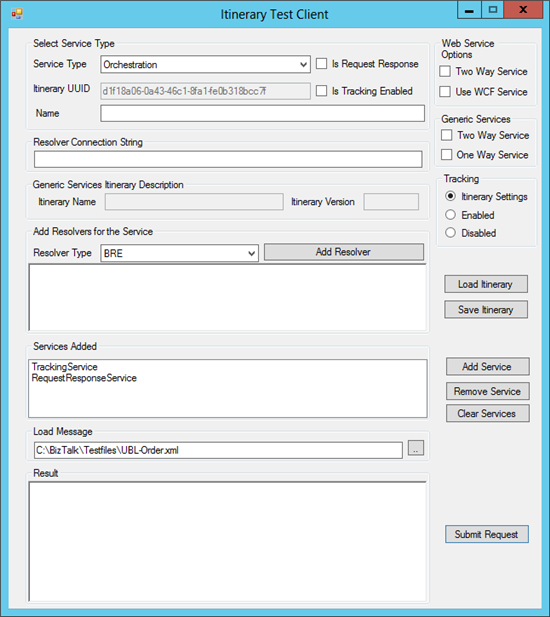 In an Itinerary with messaging Services you have to use a separate service to also transform a message before you call a web service, but in an Orchestration Service you want to do both so that you don’t have to drop your message in the Messagebox database just to execute a map. 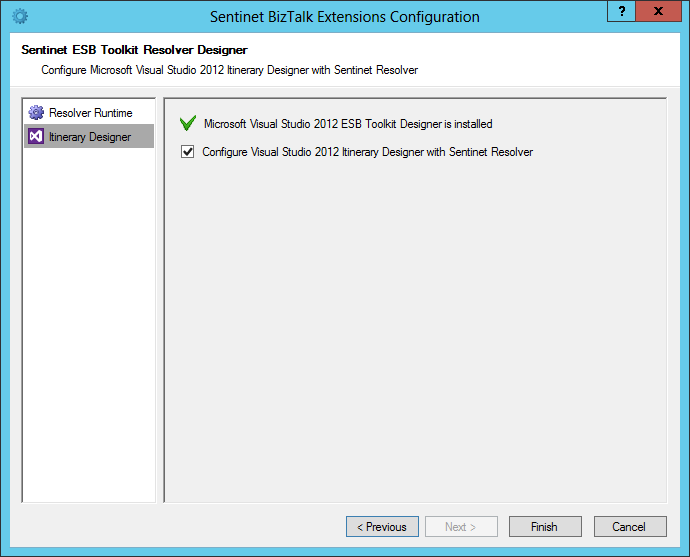 The Sentinet Resolver can be tested right from the Visual Studio Itinerary Designer without sending any ESB messages. Right-click on the Sentinet Resolver and select Test Resolver Configuration menu option. 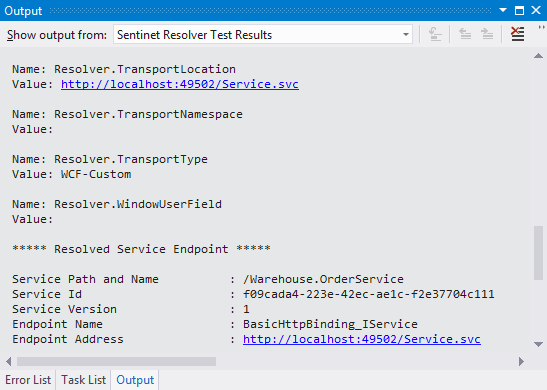 Testing the Sentinet Resolver will print in the Output window all the properties that are needed by the ESB Toolkit at runtime and additional information about resolved endpoint that helps to quickly validate results of the resolution. Once the Orchestration Service is deployed to BizTalk, the Itinerary is ready to be tested. You can use the Itinerary Test Client and the DebugView tool to test your Solution. Use the Itinerary Test Client to test an Itinerary with a test message. Use the DebugView tool to see the trace output.